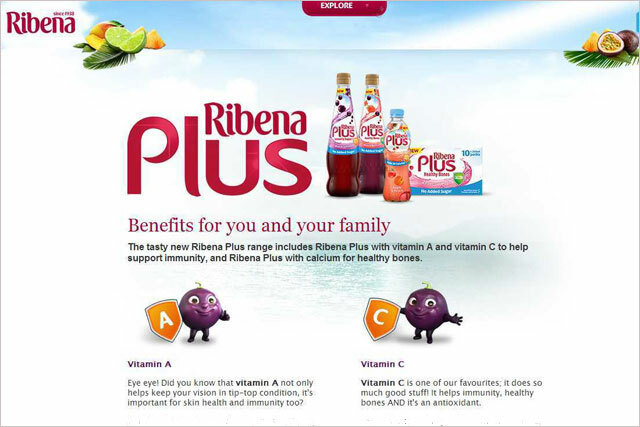 A complaint was made about four health claims which appeared on the official Ribena website (when it was still part of FMCG giant GlaxoSmithKline) and the ASA decided to investigate. On the website, GSK claimed that Vitamin A "helps keep your vision in tip-top condition" and "is important for…immunity too" and that vitamin C "helps immunity" and is "an antioxidant". But the complainant challenged whether these were authorised health claims on the European Union Register of Nutrition and Health Claims. The ASA ruled that the claim Vitamin A "helps keep your vision in tip-top condition" exaggerated the meaning of the authorised claim, which is that Vitamin A "contributes to the maintenance of normal vision" and so breached its codes. The ASA also said the claim Vitamin A "is important…for immunity too" was unlikely to have the same meaning for consumers as the authorised health claim that Vitamin A "contributes to the normal function of the immune system". GSK’s claim that Vitamin C is "an antioxidant" breached the code of practice because it did not convey the full meaning of the authorised claim, which is that Vitamin C "contributes to the protection of cells from oxidative stress". During the ASA’s investigation, Japanese drinks giant Suntory bought Ribena and it is now part of Lucozade Ribena Suntory. However, the ASA said GSK was still considered the primary advertiser because it was responsible for advertising when the claims were published on the Ribena website. GSK argued that the European Food Standards Authority had endorsed the health claims, but acknowledged that it had reworded some of them to "keep the language understandable and more consumer friendly". However, GSK said it believed it had remained faithful to the authorised health claims and had, therefore, complied with the ASA’s code of practice. The ASA dismissed those arguments and ruled that the claims must not appear again in their current form. The ASA also warned GSK to ensure it did not exaggerate any health claims in the future if it reworded them to aid consumer understanding.